Surprisingly large. Comfy, clean and great location. Helpful staff. Wonderful Czech restaurant just below it added to the fun. 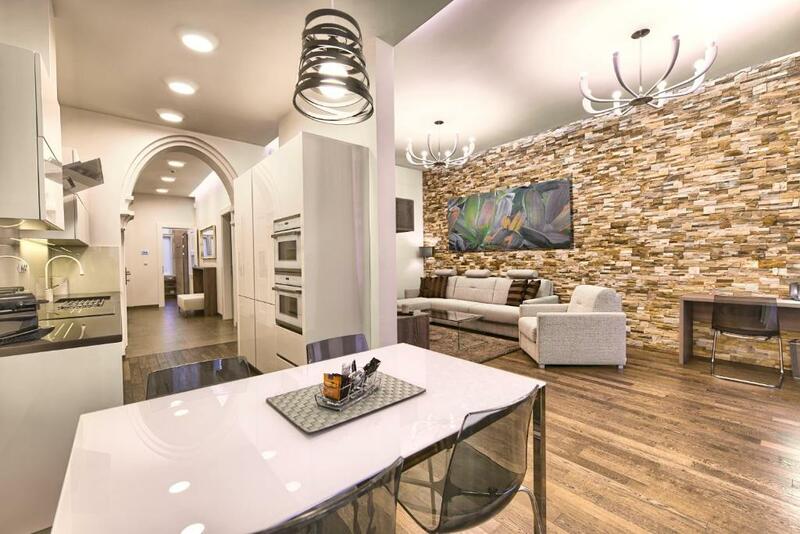 Wonderful large and surly apartment beautifully fitted and across from the 4 Seasons Hotel. Amplio. Decoración cuidada. Ubicación perfecta para conocer la ciudad caminando .Un apartamento muy cómodo equipado totalmente. Nos encantó la decoración del apartamento, así como su limpieza, claridad, mobiliario y amplitud. La ubicación es perfecta. Te permite combinar las visitas con pequeños descansos. Volver al apartamento después de una jornada de visitas por la ciudad era muy gratificante. Repetiríamos sin dudarlo en el mismo alojamiento. Очень понравилось месторасположение(в двух минутах от Карлова моста напротив отеля Four Season).Рядом маленький супермаркет,работающий до 12 ночи,все необходимые продукты для завтрака можно купить.Сразу за ним отличный ресторанчик Kozlovna Apropos.В нем всегда много народу,но,подождав 5-10 мин.,вам найдут столик.Очень вкусная и качественная еда по адекватной цене. В квартире большая,отлично оборудованная кухня(вся необходимая посуда есть),техника Kuppersbusch,кофеварка;удобные кровати и хорошее постельное белье(обе спальни выходят во двор),хорошая ванная комната с красивым душем,большая гостиная. В квартире хорошая мебель и красивый дизайн. Персонал отзывчивый и всегда готов придти на помощь. Прекрасно оборудованные апартаменты. Оптимальное расположение относительно всех пешеходных туристических маршрутов. L'arredo dell'appartamento,la comodità dei letti. Appartamento ben dotato tecnologicamente e spazioso per quattro persone.doppi servizi. 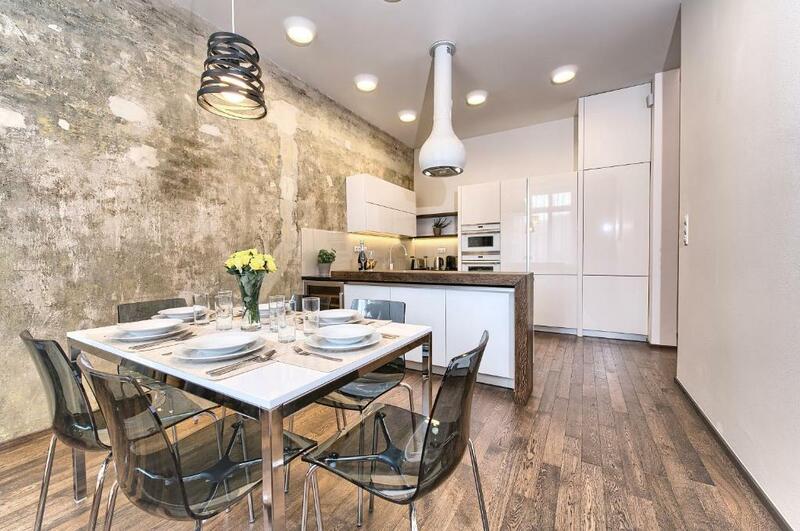 O apartamento é muito grande, muito bem decorado e tem uma localização excelente a poucos minutos a pé de todos os locais de interesse na cidade. Conseguimos visitar toda a cidade sempre caminhando. O serviço é muito bom, respondem sempre aos emails rapidamente. No check-in a pessoa que nos recebeu era muito simpática e prestável. Lock in a great price for Apartments Krizovnicka – rated 9.6 by recent guests! 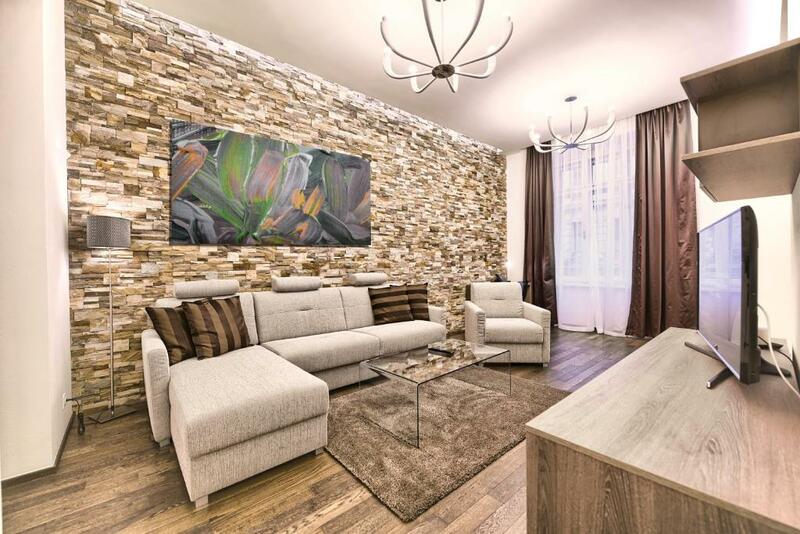 Apartments Krizovnicka This rating is a reflection of how the property compares to the industry standard when it comes to price, facilities and services available. It's based on a self-evaluation by the property. Use this rating to help choose your stay! 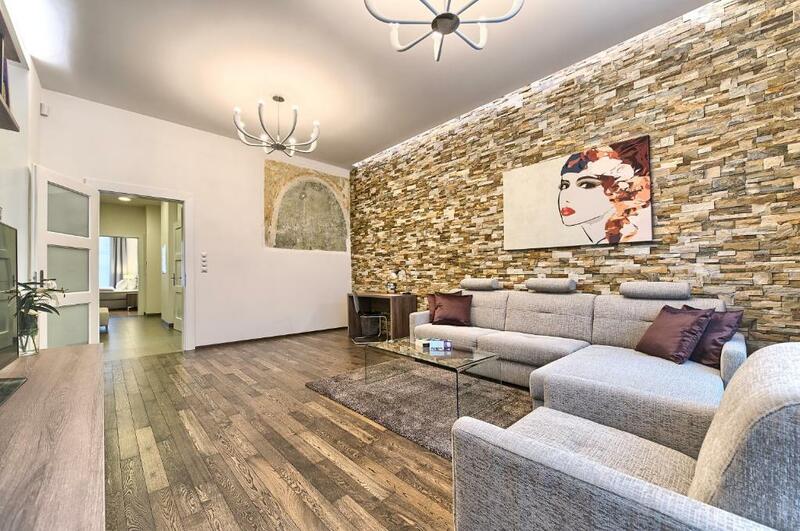 Apartments Krizovnicka is located in Prague, 1,000 feet from Charles Bridge. Old Town Square is 1,300 feet from the property. Free WiFi is available. 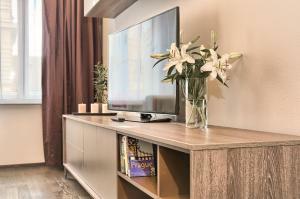 All apartments feature a flat-screen TV with satellite channels. Some apartments have a seating area and/or balcony. There is also a kitchen, fitted with a dishwasher and oven. A microwave and fridge are also offered, as well as a coffee machine. There is a private bathroom with a bath or shower in each apartment. Towels and bed linen are featured. Prague Astronomical Clock is 1,300 feet from Apartments Krizovnicka. The nearest airport is Vaclav Havel Prague Airport, 6.8 mi from the property. 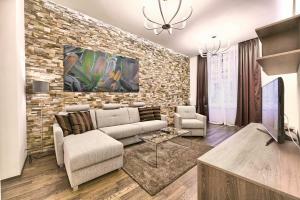 When would you like to stay at Apartments Krizovnicka? 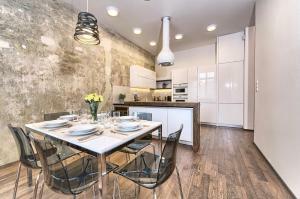 This apartment features a electric kettle, balcony and kitchenware. 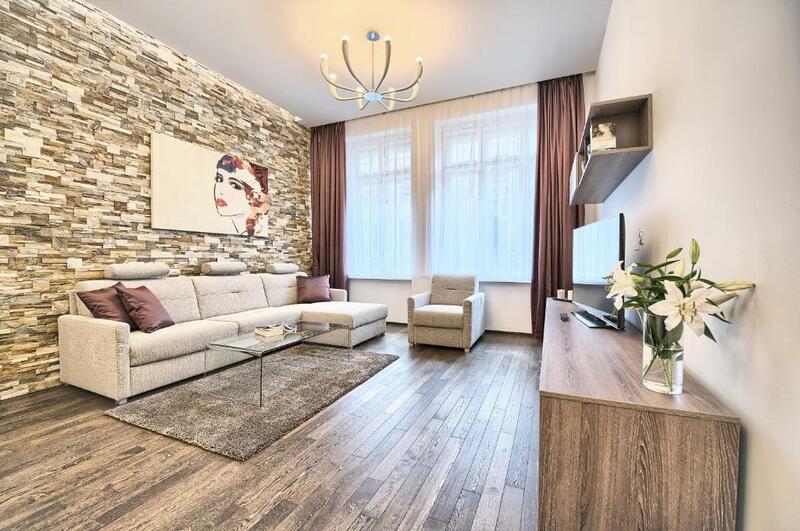 Apartments Krizovnicka is a complex of one- and two-bedroom fully furnished and equipped apartments. They are located directly in the city center but yet in the quiet part of the street. 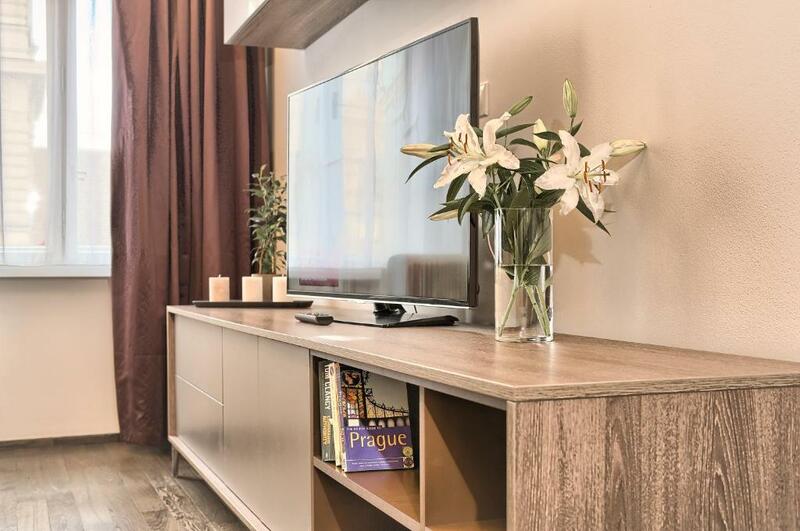 My name is Klara and I work for Prague City Apartments, a company that offers top quality and fully furnished apartments directly in the city center, next to all main sightseeing attractions. All of our apartments are fully furnished and equipped in a modern and functional style, providing all the comfort you may need. Our management office is open 24/7 and we are ready to assist you anytime with anything. Our biggest priority is to make your stay easy, comfortable and enjoyable. Feel free to ask us for anything, we will do our best to satisfy you. We provide cleaning service, airport transfers and we will be happy to arrange you any sightseeing trips. Feel free to contact us if you have any questions, we will be delighted to help you. Hope to see you soon in Prague! 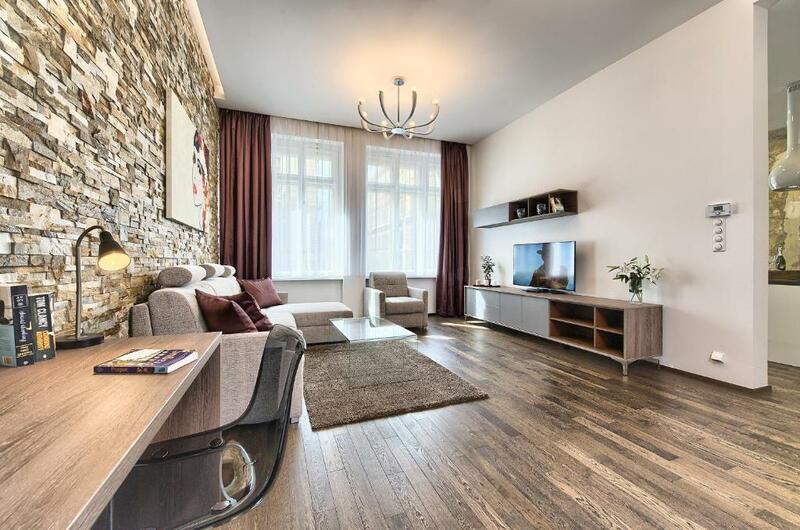 The location of Apartments Krizovnicka is directly in the city center, all of the main sightseeing attractions of the city are easily reachable by foot. We will gladly recommend you many restaurants, bars and cafes located around our property. House Rules Apartments Krizovnicka takes special requests – add in the next step! 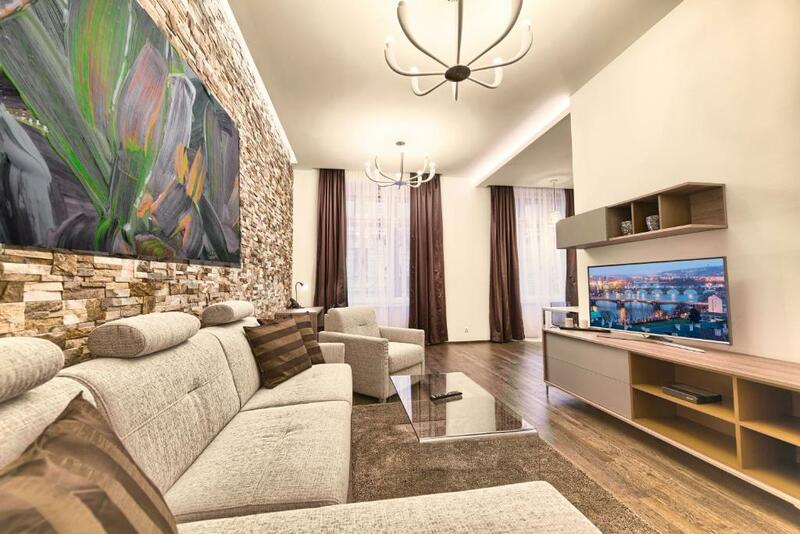 Apartments Krizovnicka accepts these cards and reserves the right to temporarily hold an amount prior to arrival. A security deposit of EUR 100 (1-bedroom apartment) or 200 (2-bedroom apartment) is required upon arrival for incidentals. This deposit is fully refundable upon check-out and subject to a damage inspection of the apartment. Please note that check-in and key collection take place at: Karoliny Svetle 303/4, Prague 11000. Please inform Apartments Krizovnicka of your expected arrival time in advance. You can use the Special Requests box when booking, or contact the property directly using the contact details in your confirmation. Summer air-conditioning would make it perfect. Just do wish it was air-conditioned for those hot Prague summer days & nights.